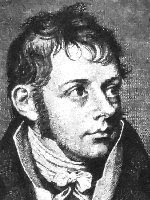 In attempting to decipher nineteenth century German philosopher/theologian Friedrich Schleiermacher for a reading seminar, I have decided to let my precariously feeble grasp of the German language inform my reading. "Schleier" is a German word that includes the idea of "shroud/vale" and is sometimes translated as "haze." The German word "machen" is a verb that is translated "to do" or "to make." Now, anyone who has studied languages realizes that context is the determining factor in deciding how a word is to be translated. After a fortnight with Schleiermacher's primary texts, I'm convinced "The Haze Maker" is the apt and appropriate rendering of his surname in this case.